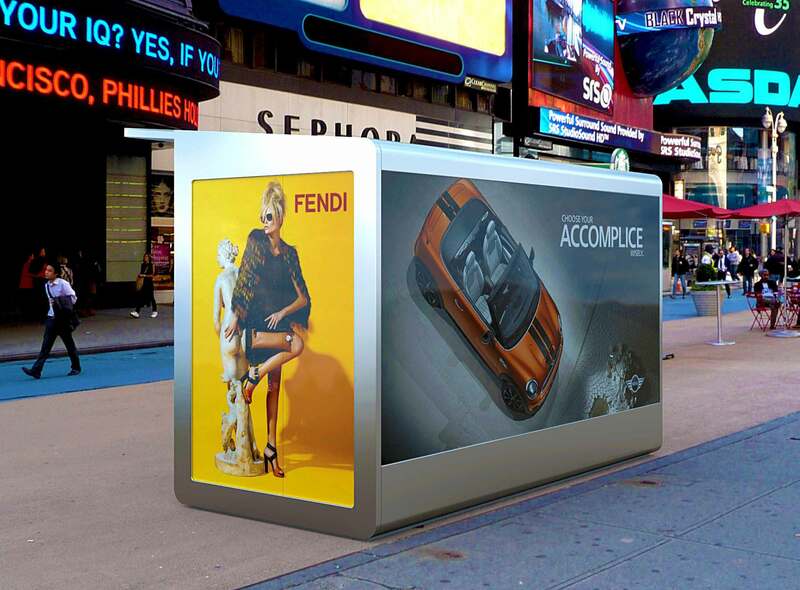 The design of the kiosk is to be as self-sufficient and use minimal energy as possible. A new generation of efficient solar panels on the roof stores and provides much of the power needed. 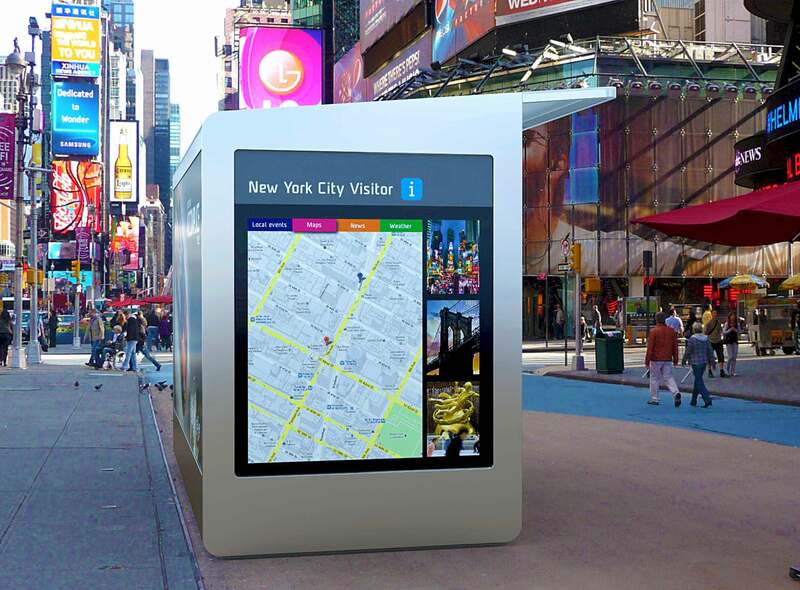 The left side of the kiosk has a local visitor information panel to display local attractions and the latest events around the area. The right and back have large advertisement panels. 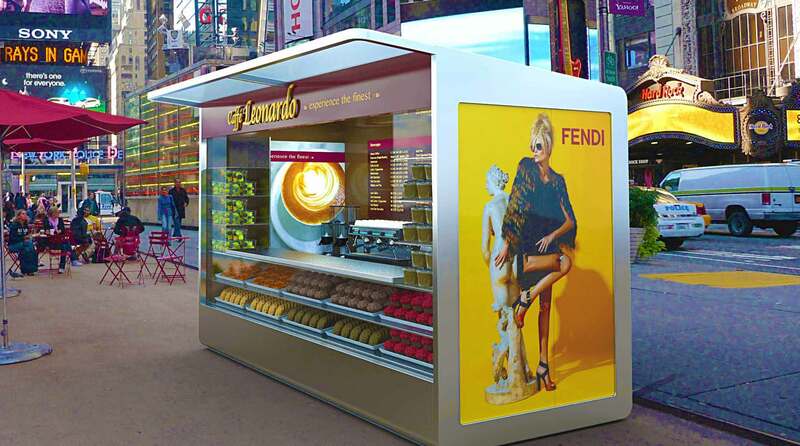 It is meant to generate revenue for the kiosk vendor. The kiosk is a welcome place to enjoy a cup of joe in an ever so busy city.